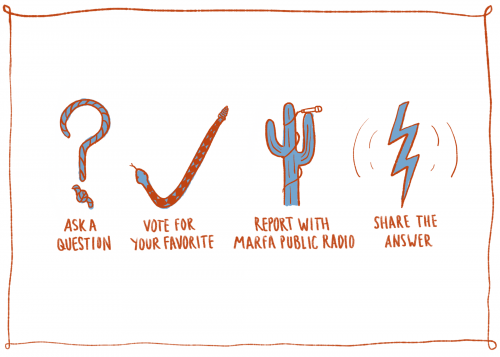 West Texas Wonders is a new journalism initiative from Marfa Public Radio that invites you to take part in the stories we cover. It’s guided by you, our listeners, and your curiosity about our region – from the border to the Basin. You submit a question about West Texas that you’d like us to investigate. We’ll run regular voting rounds so you can weigh in on what you most want answered. 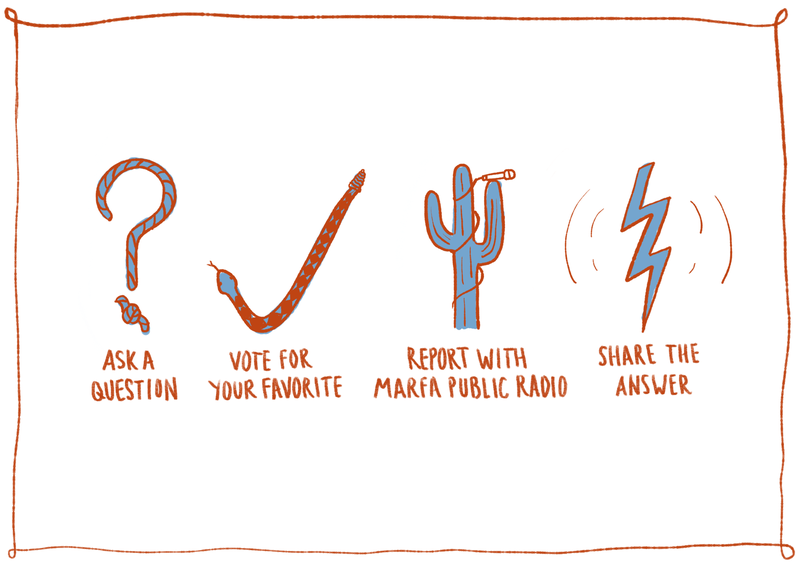 If your question is picked, a Marfa Public Radio reporter will work with you to find the answer. Finally, we present the answers on-air and online. You can ask us anything about West Texas, silly or serious, big or small, from that weird street name in your neighborhood to where our tax dollars go. Do ranch brands and gate symbols in West Texas have secret meanings behind them? I’ve heard it’s legal to drink beer on the street in Marfa. Is it? Oil and gas companies generate a lot of money in the Permian Basin — how much of that wealth supports the rest of the state, and how much of it returns to the community? Will it be up to individuals and private companies to raise money to repair the Balmorhea pool? So, ask away: What have you always wondered about West Texas, the region or its people that you’d like us to investigate? The Rambling Boy teams up with Marfa Public Radio’s Sally Beauvais in an attempt to answer some of the tough history questions that have been submitted to West Texas Wonders. “How Screwed Are You” If You Don’t Work In Oil In The Permian Basin? It Depends.